What’s that you say? Wooden figurines aren’t alive? Pish posh. Let’s throw the rules out the window. Kristin Murphy Design packages fun products. Now, their web copy reflects the expertise—and the personality—behind the business. 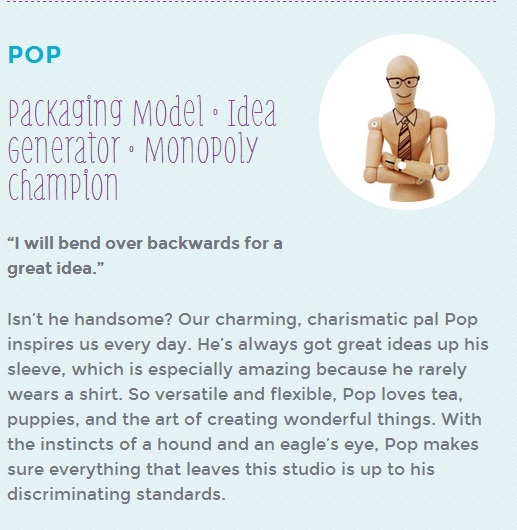 Plus, we gave Pop, the studio’s muse, a voice. And he’s loving the attention. What do you need help bringing to life? I’m ready.